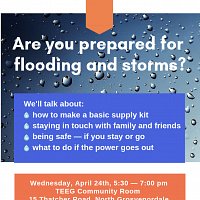 Vickie Wallace is an Extension Educator and Program Director of UConn’s Sustainable Turf and Landscape Program. 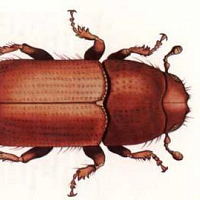 Ms. Wallace is part of a team of Extension specialists that provides Integrated Pest Management (IPM) education for CT landscape professionals and homeowners. One focus of Ms. Wallace’s program is the training of municipal and school grounds managers who maintain safe athletic fields and grounds without the use of pesticides, which are banned on school grounds in CT. In June, 75 turf managers and landscaping professionals took part in a 2-day Municipal Turf and School Grounds Managers Academy. Ms. Wallace has also co-organized several other Extension programs, including both a School IPM and a Native Plants & Pollinators workshop. She has written and disseminated numerous educational articles on many topics, including Water Conservation in CT Landscapes, Deer Resistant Plants, Sustainable Landscaping, Designing and Maintaining Meadows, and Using Weather Stations for Athletic Field Maintenance. She has spoken at multiple regional and national conferences, including at this month’s New England Grows conference in Boston, MA. 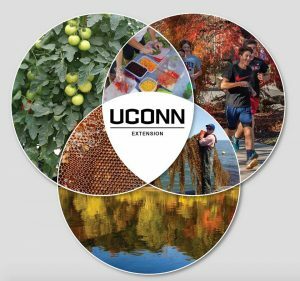 Additionally, she is developing a new UConn Extension website focused on Sustainable Landscaping. 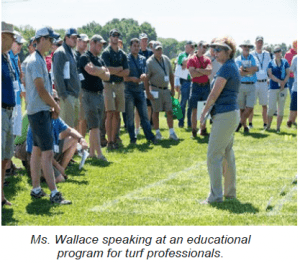 Ms. Wallace is also co-leader on a research project, funded by the Northeast Regional Turfgrass Foundation and Northeast Sports Turf Managers Association, evaluating turfgrass species and overseeding rates as part of an athletic turf care program. 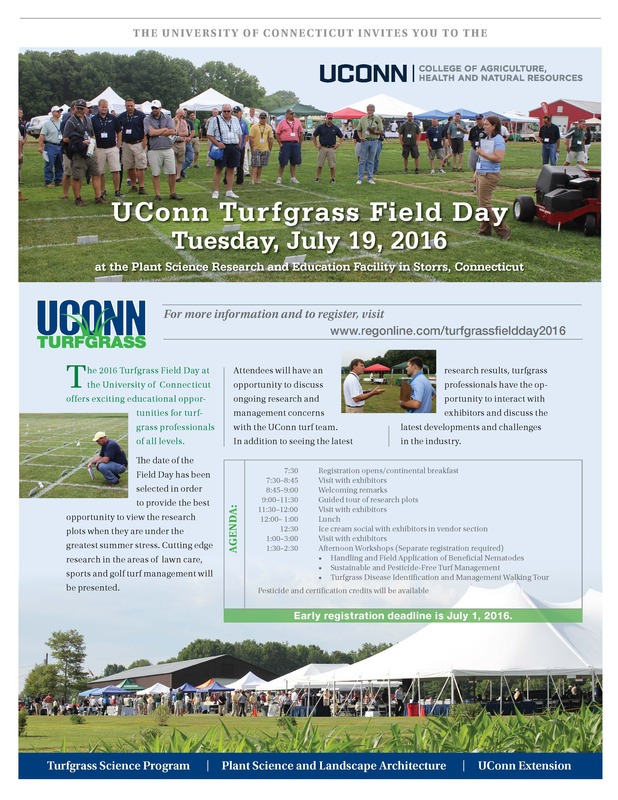 The 2016 Turfgrass Field Day at the University of Connecticut offers exciting educational opportunities for turfgrass professionals of all levels. 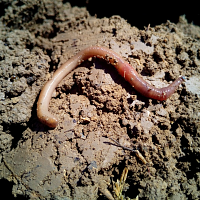 The date of the Field Day has been selected in order to provide the best opportunity to view the research plots when they are under the greatest summer stress. Cutting edge research in the areas of lawn care, sports and golf turf management will be presented. 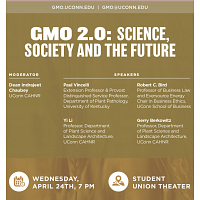 Attendees will have an opportunity to discuss ongoing research and management concerns with the UConn turf team. In addition to seeing the latest research results, turfgrass professionals have the opportunity to interact with exhibitors and discuss the latest developments and challenges in the industry.